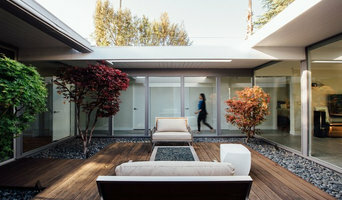 Bay Area Full-Service Interior Design Firm - 4X Best of Houzz Winner! The Bay Area's Leading Interior Design Firm - Best of Houzz 2014! Aelita Leto Feng Shui Consulting & APL Design Inc. Award-winning firm for design & Customer service. Go2 Design Studio was founded in 2009. The firm serves high-profile residential and commercial clients. It was started by Severine Secret, who brings in her European touch to the contemporary American architecture scene. Born and raised in France and trained with leading design institutions in the US she can see projects in unconventional ways. Her unique perspective helps in creating unique yet fully functional spaces which her clients deeply appreciate. The company has three pillars as its guiding principles Maximize utilization Resonate with the true client style Design for wellness and sustainability The results are spaces which fuse the clients’ objectives and sense of beauty. To learn more about our philosophy and how we can help shape your project, contact us today. Joy Street Design is an Oakland-based residential interior design firm. Joy Street Design creates custom, colorful, and approachable interiors with an emphasis on providing unique and thoughtful solutions that reflect the client’s personal style and budget. We specialize in kitchen and bath transformation in addition to complete house renovations. Kelly Finley is the owner and principal designer of Joy Street Design. Kelly is an expert in space planning and working within the confines of a room’s footprint to ensure that the room is efficiently organized. She loves color and seeks to infuse colors in a variety of ways throughout the interiors. Additionally, Kelly is a master at project management and assisting clients deal with the trials and tribulations related to major renovations. In particular, Kelly loves working with young families to bring life, fun and color to older homes. Kelly studied interior design and interior architecture at the University of California, Berkeley. She holds a law degree from Stanford Law School and a business degree from Emory University. Prior to design, Kelly practiced law in San Francisco at a national law firm. Kelly’s educational and professional background, combined with her extensive world travels, helps Joy Street Design create original and distinctive interior spaces in a precise and professional manner. We should all love our homes and that can only be achieved when the space is personal, functional, and comfortable. Let Joy Street Design help you achieve the space that you will love. Give us a call at (650) 667-7579 or click the green "contact me" button to schedule your appointment. We look forward to working with you! A good home design professional will hone your style down to its very essence and be able to choose a functional layout that feels natural to you. Interior design companies can be involved as much or as little as the client desires. Many clients who hire an interior decorator in Mountain View, CA — particularly those who are remodeling — have a good sense of how the room should look and what products they should use. Often clients will insist that interior decorators use the products already present in the house. Other times a designer will need to start from scratch — especially if this is a newly purchased or just-built home. An interior design company will need to figure out exactly what the client needs, which includes organizing rooms, picking flooring and wall colors, and finding furniture to complement it all. Sometimes that means he or she will have to recruit help from other Mountain View, CA home professionals to help create the perfect look for your renovation. Here are some related professionals and vendors to complement the work of interior designers & decorators: Architects & Building Designers, General Contractors, Home Builders, Design-Build Firms, Photographers. Do your research before meeting with an interior designer or home decorator in Mountain View, CA. Ask yourself what you want your space to become and what it will be used for. Figure out the extent of what you need help with, what your must-haves are and what your budget is. Interior design services can add up fast, so be up front with a potential design firm or individual from the beginning. Also, pick an interior decorator that fits your style. Browse through the portfolios of different Mountain View interior design firms and decide if you would live in those houses. Just because you like something doesn’t mean you could live in it. There's a big difference! Find an interior designer or home decorator in Mountain View, CA on Houzz. Narrow your search in the Professionals section to find Mountain View interior designers near you. 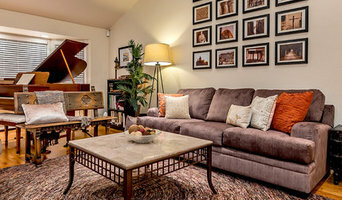 You can also look through Mountain View, CA photos to find a room you like, then contact the design firm who designed it.